I've written before about using blogs for class content, and one of my main reasons for using the blog platform for content is the ease of development AND the ease of revision. 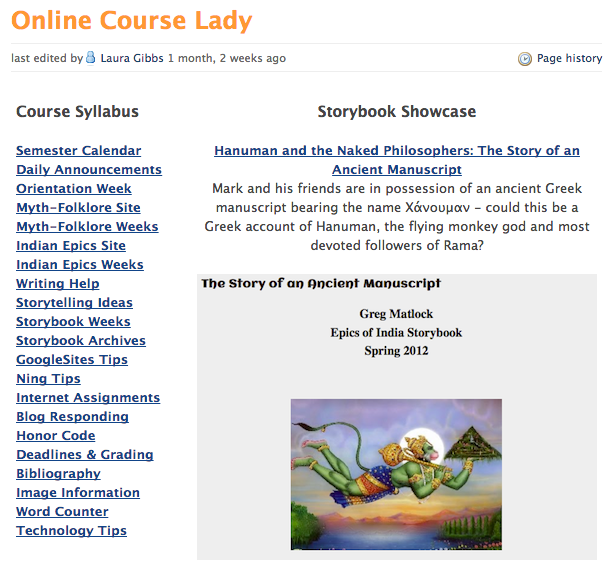 I spent most of yesterday revising the blog post pages that make up a crucial assignment in my Indian Epics class: the project topics pages that help students as they begin defining their projects already in second week of the semester. In this class (unlike in my Mythology class), students are often starting from square one, not having any prior knowledge at all of the subject matter of the course and, in some cases, no real interest in the subject matter either. It's a Gen. Ed. class that can be used for a graduation requirement and, being online, it fits anyone's schedule, so students end up in the class for reasons of convenience, very different from a class students are taking in their major, where you can assume some connection with the class content. As a result, this assignment is really important for all kinds of reasons - the students will be working on the project all semester, so they need to choose something that will sustain and reward their interest. That means they need to do some independent research to make sure the topics they are considering really are of interest, but they may have no assumptions or expectations about the subject area to start off with. In turn, that means I really need to support them in doing that research, making it fun and productive to explore the possible topics. I had not tinkered with these pages for a couple of years, but now having access to the Diigo links for the past student projects, I was able to do some serious revision of these pages, giving students more and better access to past projects, in addition to links to Wikipedia and other online resources (I'm very lucky that Wikipedia is consistently an excellent resource for this class). So, thanks to the ease of publishing content on these blog pages, I was able to work through all the material yesterday, making revisions to every page. It was fun, and I think it is going to prove to have been a good investment of my time. I cannot imagine teaching a class like this without the flexibility of digital content! This allows me to prepare an abundance, even a superabundance, of content, knowing that students will choose their own paths as they explore. I can see how different those paths are when they turn in their brainstorming assignment - everyone goes in different directions. As a result, responding to their proposals is one of my favorite tasks all semester long because I get to see what their interests are and provide more research recommendations based on what they are already thinking about. Call it what you want - personalized pathways, student-center learning, differentiated instruction... whatever! I just love the way that by preparing digital content I can keep on improving what I offer to the students and letting them choose their own paths through that content. I had a lot of fun revising those topic pages yesterday, and I really hope that the students will have a better experience as they begin planning their projects when the new semester starts up in January. I just finished one of my very favorite tasks that happens at the end of each semester: I added the links of the Storybooks from this semester to the LONG lists of links for my Myth-Folklore Storybook archive and my Indian Epics archive. Then, I also updated the randomizing widget which shows some great Storybooks at random for each class separately (you see that widget at the top of each list) and which can also show Storybooks at random which you can see from both classes, as on the homepage of my wiki. All told, the process takes several hours, but it is a pure pleasure from start to finish. Given that I have now made Diigo a regular part of my content management process, I have also bookmarked all the Storybooks in Diigo and plan to start using tags there to sort and label them by both content and style. That is my next big project in fact! Diigo does handily let me know that I have over 500 Storybooks bookmarked there. That's a really good feeling; almost all the students do leave their projects online for future students to consult, and I am so grateful to them for sharing their work after the class is over. It's an especially good feeling having all these Storybooks in the archive since it was about three years ago that my school's IT department deleted, without warning, almost all the Storybook websites that my students had built at students.ou.edu (the IT-provided web hosting I relied on, woe is me). At that time, I had over 1000 Storybooks in the archive, seven years' worth of student work - all thrown into the digital trash can by my school just a few days before the start of the school year. That was the worst day ever in my career as an online instructor! Slowly but surely, though, the archive has recovered, and I have more confidence in Google Sites than I ever will in a service provided by my school, based on that terrible experience of losing my archive without warning. I know that Google Sites is not forever, but when the time comes to migrate and/or rebuild my archive, I am ready to do that again, hopeful that Google will give me more warning than my school did. More importantly, I am confident that there is ALWAYS wonderful work that my students are creating, if I can just find a way to capture and preserve that somehow. It's the single best thing I know of for inspiring future students to aim just as high, or higher! Unlike Rebecca Schuman (see her delightfully provocative article in Slate: The End of the College Essay), I love reading my students' writing, and the Storybook archive is a source of nothing but pride and joy for me, year after year after year. This post is not about a specific tool, but instead a more general post about grading in an online class and what a big difference it makes. Elsewhere I've written up a statement about my grading philosophy which I share with my students (indeed, I consider it vital to share that with my students), and in this post I want to reflect on how the grading system I use is really possible only in a digital environment. When I started teaching at OU in 1999, I was stuck with a very limited range of options. We didn't even have an LMS back then, so it was really all about what happened in the classroom: either quizzes and tests administered in the classroom, or papers that students handed to me in the classroom. As my professors had done, so did I: I graded based on some combination of quizzes, tests, and papers. I wasn't very happy with it, and the students weren't very happy with it either. Not that they complained; it was that way in all their classes. But still, I felt stuck - not just because of the limited assessment options in a classroom, but because of all the classroom's limitations. Not enough time, not enough "stuff," not enough of anything. I wanted more and better for my students and also for myself as a teacher. So, when my school first decided to start offering fully online classes, I leapt at the chance. In fact, I resigned my job as a tenure-track professor and became an online instructor instead; my interest was always in teaching rather than research, and I realized that as a professor I could never give my teaching the time it deserved. The job my school had created was ideal: my only responsibility was teaching online, and I had three sections of 25-30 students each to teach. Perfect: 40 hours per week, and around 80 students to work with. The job of my dreams! I realized immediately that the model of quiz-test-paper was meaningless in this new world of teaching abundance - an abundance of time, and an abundance of resources, too. So, I began the process of inventing classes that would take advantage of that abundance. Luckily, I made some very good choices right from the start; my classes have grown and evolved over time, but at the core is the same basic model I created when I first got started over ten years ago. Time for reading and writing. There would be no more wasted time with students passively sitting and listening to me talk too much in the classroom (and I always talked too much, as you can imagine from the length of this blog post, ha ha). Online, the students could now spend their time - all their time - doing something really useful: reading and writing. I knew that I could reasonably ask about 6-8 hours per week of my students' time, and I knew that my main goal was to have them create things - to tell stories and share them online. I decided to divide the class into two roughly equal areas of activity which together would take appx. 6-8 hours of their time every week: reading stories (myths and epics) so that they could write new stories based on the old ones, along with a semester-long project where they would choose their own topic and do something similar but on a bigger scale, retelling traditional in creative new ways. They would do the weekly reading/writing assignments in a blog, and the semester-long writing project would be a website. Then, after I had decided on the class activities, I needed to find the best ways to do the assessments, both for feedback and for grading. I was really not at all interested in assessment-as-grading, but I was very interested in assessment-as-feedback, and going online gave me so many great new opportunities for more and better feedback. Feedback: Reading. For the reading, students could take quizzes that were graded automatically. I could build big question pools with questions coming up at random, allowing them to re-read and take the the quiz again if they did poorly. The reading quizzes were now a self-diagnostic tool to help the students make sure they had not accidentally slept through the readings or skimmed so quickly that they really got nothing out of it. Since students are not used to the idea of quiz-as-diagnostic, I make sure to explain to them how that works: Reading Tips. Right now I use Desire2Learn for this, but the way it manages question pools is incredibly poor, giving me no useful statistics from semester to semester; indeed, it does not even track questions re-used from quiz to quiz. I need a better quizzing tool (Quia.com, for example, is far superior). Feedback: Writing. By having all the writing in blogs (Ning) and websites (Google Sites), it was now easy for students to give each other feedback, in addition to getting feedback from me. So, each week, the students comment on the stories in their blogs and websites, and they also get detailed feedback from me. I'll explain in a separate post exactly how all that works, but you can get a sense of the importance of feedback and revision from what I've written here: Web-Based Projects and Pacing the Semester. Results: Fabulous. The end result of this system is that the students work hard, and they often comment in the evaluations that this class is more work than any of their other classes. I'm not sure whether that is true or not, but I am pretty confident that they are doing more writing in this class than in any other class - and getting far more feedback about their writing, too. As a result, they learn a lot, and they produce some amazing projects. 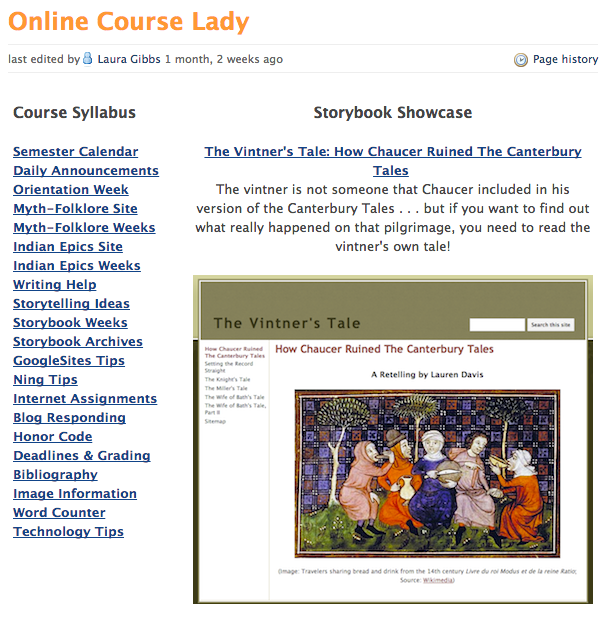 You can see the projects for this semester in Myth-Folklore and in Indian Epics. Even students who openly declare that they hate to write end up with really good projects. Why? Because instead of putting everything off until the last minute (you know that is what happens in most classes, right? ), they work on their project every week all semester long, with abundant, supportive feedback from me and from the other students. Work: It Works! Although some people think of online classes as being less work than a classroom-based class, that is not the case in my classes. Just the opposite: the students work really hard. That's an inevitable consequence of how the class is set up; there is no other option. For almost all of them, it is the first time they ever created a website. Even more importantly, it is often the first time they ever made a commitment to their own writing and to sharing their writing in public. If you are a student who struggles with writing, you are used to giving the teacher something you scribbled off in haste, knowing you will get a bad grade - and you just say to yourself, "Whatever." This class is different: doing poor quality work is just not an option. Students revise (and revise and revise) their writing so that it improves, and they also share their writing with other students - it's not just for the teacher. For a lot of students, that experience is downright scary at first... but by the end of the semester, they see their own success and are justifiably proud. As for me: I am proud of what they do too! Grade Inflation. And that is why I get angry - really angry - when I read articles like this one about grade inflation: Can Harvard stop awarding so many As? by Stephen Joel Trachtenberg. It's fine with me if Dr. Trachtenberg has a different approach to grading than I do; everybody should do what they think is best - best for their students, best for their school, best for their subject matter. The problem, however, is that Dr. Trachtenberg seems to think that there is one way, and only one way, to grade. He apparently supposes that every teacher must be a "judge" whose success is measured not by the number of good grades earned by their students but instead by the number of bad grades. That may sound good to him; to me, it sounds like a recipe for failure. I could never teach that way, and I am very disappointed that Dr. Trachtenberg seems not to have even considered the possibility that there are alternatives to the grading model that he takes for granted. He may contend that I have "abandoned my responsibilities" by the way I grade, but I see myself instead as finally living up to my responsibilities as a teacher, making sure that each one of my students has a great learning opportunity, a chance to work hard and achieve more than they even thought possible at the outset. Does Dr. Trachtenberg think my class is easy because I give mostly As? Well, he is wrong. And since my students put their projects online, he has a chance - if he wants - to see just how wrong he is. I would say the single best thing we could do for our students, in fact, is to stop putting so much faith in the sacred formula of the GPA and instead have our students show what they can do online. For me as a teacher, that online option has made all the difference. I'm really enjoying Pinterest, using it in two ways for two of my blogs! Latin LOLCats. My Latin LOLCats are one of my most popular creations. 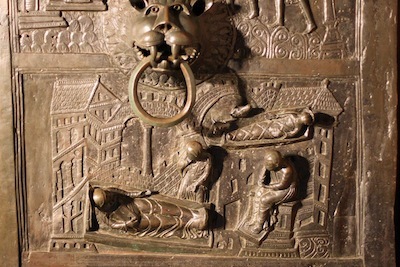 They used to live at a Latin Via Proverbs blog, but I switched over to an all-purpose Proverb Laboratory blog last year. I've got about 400 of them now, and I also continue to produce new ones, although not necessarily every day. What I am doing right now is adding my existing LOLCats to a Latin LOLCat Board ten at a time (that's easy to do with labels in my Blogger blog; I labeled all of them as "notpinned," and as I pin them, I switch the label to "pinned"). As a result of that process, the board will be more or less done sometime in January, and then I will continue to pin new LOLCats there as I create them. Since the LOLCats are highly visual, it makes perfect sense to have them there at Pinterest, although people need to click through to the blog post if they want/need an English translation. Anyway, using Pinterest this way is definitely a lot of fun! The blogs are still where the content starts and where the content really stays, but if this is a way both to reach new people AND to keep track of my own content, revising and expanding it, that adds value to the whole process! I'm thinking about doing some Twitter tips for my students next semester, so I'm going to put possible tips here for now, writing out the instructions before I decide which ones to actually use at my class website. So, here are my preliminary notes for a Tech Tip on creating a Twitter list! 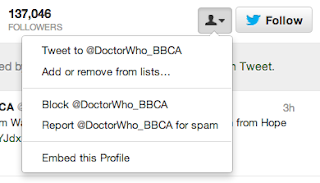 To create a Twitter list, go to your Twitter account, then click on Lists. You will then see a button to "Create List." 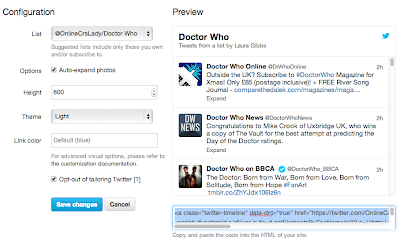 When you create a list, you will be prompted to give the list a name, along with an optional description. You can make the list public so that other people can see and subscribe to the list, or you can decide to keep it private. You can use the Search feature to find people to add, or you can just click on people as you find them but, instead of following them, you can add them to a list. Instead of clicking on the Follow button (blue bird), just click on the button next to it, which will give you a dropdown menu allowing you to add to (or remove from) a list. Because it is a URL, you can bookmark it, which gives you instant and easy access to the list, and you can favorite and retweet posts from a list stream, just as you can from a regular stream. You can also make a widget based on a list. Just go to Settings, choose Widgets, Create New Widget, choose the List tab, select the list, choose your other options, and then create the widget! 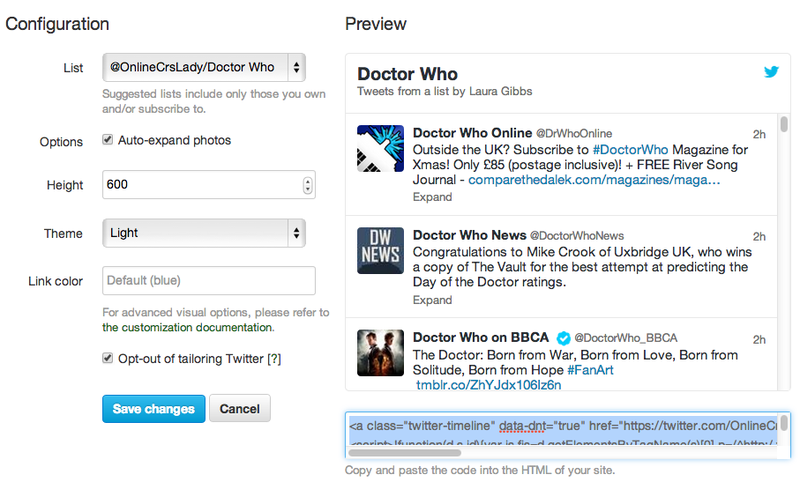 Twitter will then give you the HTML you need to embed the widget as you can see below. I made my first Pinterest Board this weekend! I've been wanting to give Pinterest a try, and my Latin holiday songs blog - Gaudium Mundo - seemed like a good set of raw material to work with. I was right, and it was a lot of fun! Here is the result: Gaudium Mundo at Pinterest. I hope everybody had a great holiday break. I'm getting back into the swing of things: the last week of school is next week, and then I have a few weeks to re-tool my classes for Spring semester, which is something I always enjoy. I hope that having this blog in place will be a good addition to my blogging routine for Spring, too! For today's post, I wanted to pick up on an item from Google+ today which I have embedded below. As you can see there, I was reacting to the use of the word "interactive" to describe students taking online quizzes. I use Desire2Learn for online quizzes and all the learning management systems include some kind of quizzing software; machine-graded quizzes are probably one of the most ubiquitous feature of online courses, and they serve a purpose sure, but to my way of thinking, there is nothing interactive about taking a machine-graded quiz. This reaction on my part led to a good discussion at G+ (click the voice bubble icon in the embedded post below to see the comments), and I thought I would spell out here more specifically my concern about this use of the word "interactive" as a kind of all-purpose synonym for active. So, to reiterate, I'm all for active learning as opposed to passive learning... but I do not consider taking a machine-graded quiz to count as interaction. When a student takes a quiz, that is indeed something active on the part of the student: they read each question, decide on the answer, enter the answer, and then they get feedback (usually a simple right or wrong) from the computer. In a more sophisticated computer program, there might be more extensive feedback, including additional learning activities and/or follow-up questions as a result of the student's quiz performance. 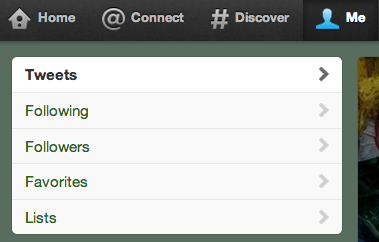 So, yes, that's very active. More active than just reading. That is not to say that reading is entirely passive, but reading with some kind of machine-graded quiz is more active than just reading alone. Likewise, if a student takes notes or highlights while reading, that is more active than just reading. If students write up responses to what they read, or if they share the reading with others, that something active. If the student annotates the reading or modifies it, then the student's learning is more active than just reading. Hence the term "learning activities." But what does it mean for learning to be interactive? The way I see it, the "inter" prefix there requires that there be two or more people interacting with one another (the Latin word inter means "between, among" as you can see in this Latin-English dictionary). So, taking a quiz which is graded by the computer is not interactive; I am not prepared to accept the surrogate human intelligence of a computer program as a sufficient substitute for a real human presence in order to call that "interactive." Active, yes, but not interactive. If the student takes notes, that is active; if they share their notes with others, that is interactive. If the student bookmarks the reading, that is active; if they share the link with others, that is interactive. If the student annotates the reading, that is active; if they read annotations made by others and share their own annotations with others, that is interactive. I value active learning highly, and I value interactive learning even more highly. When I look at tools for learning, I value tools that promote active learning, but I value tools that promote interactive learning even more highly. It was refreshing for me today to have to think this through and spell out my assumptions more clearly, and I hope I can make use of this distinction as I discuss different learning tools in future posts at this blog.